Member Plus is evidenced to be a solid script and we are committed to strengthen it by a sequence of service updates. As you may see, in the list of improvements and fixes,Member Plus will have an array of incredibly functional and competent upgrades that we strongly recommend upgrading your site then and there, to make it more proficient. 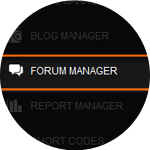 Forum manager maintains all the forum topics and forum post details on the site. Users can post messages, suggestions and respond to each other through this discussion area. The admin too can involve in the discussion or use it as a bulletin board. It is an easy way to get viral exposure and to maintain good relationship with the regular visitors or customers. The forum can be a direct advertisement for your site. 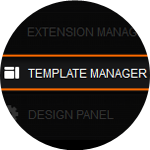 Template Manager controls the templates used for the Front-end in the site. This plugin makes installing and managing the templates easily. This plugin covers layout and style material of the templates that controls the visual display of the site. Enabling the template will automatically activate on the site. Short codes are used to create shortcuts for lengthy code. It is used to create objects with a single word . For instance, shortcode can display the entire summary details of blogs, mail signatures and updated news as single word. 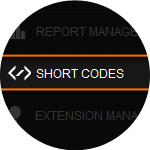 Shortcodes are controlled from the admin panel. This will make the admin to edit the data easily. Dashboard chart is used to communicate easily, within a single glance. This pictorial chart provides the details of membership registration of users and download details of templates and plugins on the site. These are represented through Pie charts and can be understood at a quick glance. Please stay Tuned for the next version of Member Plus.